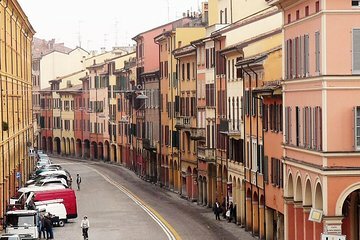 With limited traffic and a tranquil vibe, the level streets of Bologna’s historic center could have been designed for bike touring. Discover the beauty of the city’s medieval buildings and ancient porticoes with a professional guide. Along the way, taste artisan gelato from a store under one of the prettiest colonnades.